"Most analysts regard it as unlikely that Saakashvilli on his own would violate the peace agreement and attack Russian troops. Certainly Saakashvilli would have cleared the aggression with his Washington sponsor. 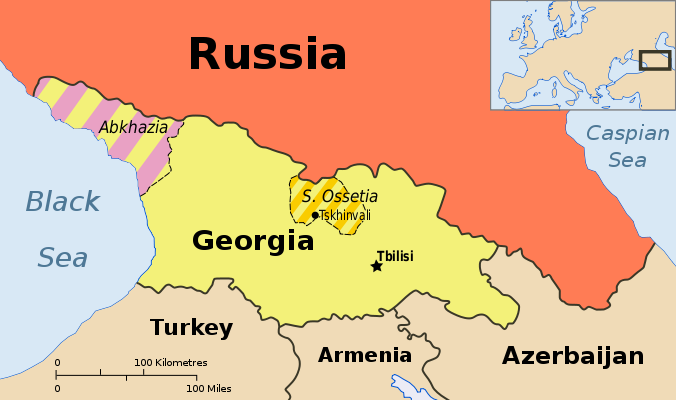 Saakashvilli’s attempt to recover the territories was an opportunity for Washington to test Russia. Washington saw the attack as a way of embarrassing the Russian government and as a way of testing Russia’s response and military in action. If Russia did not respond, the government would be embarrassed by its failure to protect its interests and the lives of those Russia regards as citizens. If Russia did respond, Russia could be denounced, as it was by President George Bush, as a bully that invaded a “democratic country” with a Washington-installed president. Especially interesting to Washington was the ability to observe the Russian military’s tactics and operational capabilities." 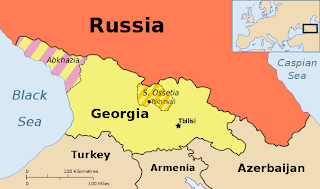 “This would give nothing to Georgia as a sovereign and dynamically developing state, but would create a long-term source of tensions between our countries,” Medvedev said in an interview with Georgia’s Rustavi-2 television channel. In the interview given to the Yeni Musavat newspaper, Azerbaijani military expert Uzeir Jafarov stated that the most important agreement made during the visit of the Minister of Defense of Azerbaijan Safar Abiyev to the United States of America is the establishment of a NATO military base in Nakhchivan. “The issue of passing the Autonomous Republic of Nakhchivan to Turkey’s guardianship to protect it is in the agenda. It is possible that during the next year Turkey will establish a military base in Nakhchivan or open a military representative unit. The entrance of Turkey to Nakhchivan is also provided by the NATO presence in that territory”, said Azerbaijani military expert Uzeir Jafarov. 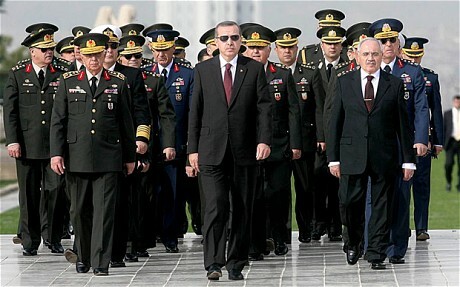 Turkey appointed new military commanders on Saturday in an overhaul of its top ranks that underlined the government's control over armed forces which once dominated political life. Azerbaijan and Turkey have begun forming a unified army, member of the Azerbaijani parliamentary committee on security and defense, MP Zahid Oruj told Trend today. There are opportunities to improve the army and to use NATO standards. After Azerbaijan's power increases, its influence will also increase in the region. So Azerbaijan starts its transition from a proxy of the North Atlantic Treaty Organization to a full member and will continue to play a central role in the global drug trade as well as in the support of terrorism from Russia's North Caucasus to Syria. The Steppe eagle exercise is aimed at implementation of the individual action and partnership plan between Kazakhstan and NATO signed on January 31, 2006 and is a part of Partnership for Peace program between Kazakhstan and NATO. "There are two points. 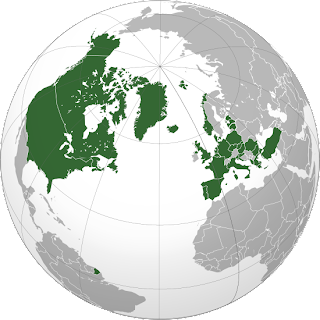 The North-Atlantic Treaty Organization, which again I have to give you credit, you mentioned in your article, is the largest – in terms of membership, in terms of its military capability, military alliance or bloc in history, it’s one that is growing daily through partnerships and eventually will expand yet further with full members. But it is one which came into existence in 1949 under the guise of protecting Europe from the Soviet menace, so that the Russian Federation being the successor state to the Soviet Union, I suppose it is incumbent on NATO to keep it around as a boogieman to justify military expansion of the United States into Eastern Europe, from the Baltic Sea to the Black Sea and eventually if they have their way into the Caspian Sea. They will make sure that Russia is an enemy. They will do it by baiting it, by intimidating it, by encircling it militarily." For a major chunk of America's military community, the so-called "pivot to Asia" might seem like nothing more than an empty catchphrase, especially with the Middle East once again in flames. But for the Air Force at least, the shift is very real. And the idea behind its pivot is simple: ring China with U.S. and allied forces, just like the West did to the Soviet Union, back in the Cold War. The importance of Central Asia is extremely high: a secure and stable Afghanistan must be integrated into a stable, secure and prosperous region. Are Outside Forces Conspiring To Create "Great Badakhshan"? Anyway, one wonders what "forces" and "countries" Safarov is implying are behind this separatist movement. The Aga Khan is probably one of them; many in Dushanbe seem to believe that the Aga Khan (the London-based spiritual leader of Ismaili Muslims, including the people of Badakhshan) harbors some secret political ambition, and his foundation has been very involved in both Tajik and Afghan Badakhshan. According to the current leader of Afghanistan’s National Congress Party Abdul Latif Pedram, the US and Britain aim to combine Pakistan’s Gilgit and Chitral regions, parts of the historical Badakhshan region in Afghanistan and Tajikistan, and a section of China’s territory to form a new country. Several members of Afghanistan’s parliament have noted that the US and UK have been trying to establish a new independent nation in the mountainous region of the northeastern Afghanistan and its adjacent parts in Tajikistan. 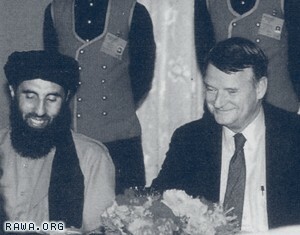 Gulbuddin Hekmatyar, favorite Mujahideen leader of the United States, Pakistan and Saudi Arabia during Operation Cyclone, recently admitted to be one of these crazy conspiracy theorists. Tajik national was arrested in Fayzabad, the capital of Afghan Badakhshan Province on August 6 on suspicion of planning a terrorist act. 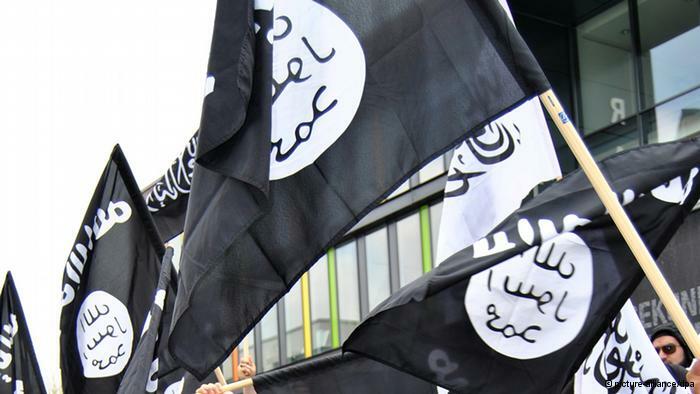 “The detainee said he arrived in Afghanistan for jihad and he was involved in fighting against the Afghan government forces and international coalition forces in the Paktia province. The suspect also said that he was planning to return to Tajikistan and to begin his activities on Tajik territory,” Osmani said. According to official data, seven attempts of illegal border crossing were registered in the first half of 2013 in Hamadoni and Farkhor districts bordering with Afghanistan. Three offenders were killed and eight others were wounded in those incidents. More than 200 kg of various types of drugs were seized in the districts. Tajikistan and Afghanistan are stepping up co-operation to prevent terrorist acts and to combat smuggling. Will unrest in China’s Xinjiang region expand to Kyrgyzstan and Central Asia? On several occasions in the past, the unrest in Xinjiang has been a precursor to some sort of protest and violence in Kyrgyzstan. Generally the spring and summer and early fall seasons have been the period of protest. This was the case in Xinjiang and Kyrgyzstan for the revolutions of March 2005, the one of April 2010, and the tragic events of June 2010. What happens in Xinjiang is certainly watched by political analysts and governments of Central Asia, especially from Kyrgyzstan, but also in Tajikistan and Uzbekistan that already in the past have had unstable situations often develop into bloodshed and violent tragic reaction. With the withdrawal of American and NATO forces from Afghanistan everybody is talking about the risk that an unstable situation may be generated. This is of course a risk that all Central Asian countries are considering, together with the possibility that external terrorist groups may take advantage of the situation and jump on the possibilities to destabilize further the local scenario with violence. In any case whatever is happening in Xinjiang, although restricted to China, should always be carefully watched since the matrix of the unrest, primarily of an economic nature, may easily find its justification in religious extremism of an Islamic nature, and all of Central Asia is an Islamic region. Political Islam in Central Asia – Opponent or Democratic Partner? The Islamization of the population is expressed not only in numbers, but also in the growing readiness to follow Islamic behavioral rules. This has also stimulated the strong revitalization of the entire system of clans and extended families in the last decade and a half. Integral components of these structures are madrases, private Koran schools and other questionable forms of providing an Islamic education, which is characterized mostly by its low intellectual level and even its underground character. There, both Hizb ut-Tahrir al-Islami and Salafiyya, with their agitation for social justice - supported by the critical socioeconomic conditions - and against violence and corruption, await the people. From them, the believers also learn about Islamic alternatives, Islamic asceticism and Islamic ways of life. The amount of illegal religious and extremist literature and materials seized in January-July 2013 is twice as high the amount seized during all of 2012, the Uzbek State Customs Committee press office told Interfax. As reported earlier, Kazakhstan's financial police have prevented activities of 16 companies involved in the financing of radical religious movements over six months in 2013. 68 criminal cases were initiated against supporters of extremism and terrorism. The Governor of Khatlon region, Tajikistan's southern region, Gaibullo Afzalov announced that the security and border troops stationed on the territory of a region should be prepared to strengthen protection of the state border. “It is necessary to conduct thorough preparation for the protection of the state border with the neighboring country by withdrawal of the international coalition force from Afghanistan in 2014,” Afzalov said on a meeting with Farkhor district population. Afzalov highlighted that the relevant authorities have to be prepared to deal with various groups taking into consideration the fact that in future Farkhor district will be connected with Afghanistan by a bridge over the Panj river. Khatlon region of Tajikistan borders with northern regions of Afghanistan. There are four cities and 21 regions in Khatlon area, one third of which borders with Afghanistan.